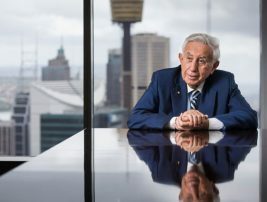 APARTMENT titan Harry Triguboff has shaken off the downturn in Australia’s residential property market, with his company, Meriton, recording a 57 per cent bounce in the number of apartments it started work on in the year to June 30, according to the HIA-Colorbond Housing 100 report for 2012. Meriton’s work book contrasts with the overall number of starts by companies in the Housing 100, which fell by 7.3 per cent to 48,130 in 2011-12, the lowest level since 1996-97, against 144,045 starts industry-wide. Click here to read the full article by Sarah Danckert at ‘The Australian’.